A complete toolset to measure and develop the key drivers of performance, the SEI assessments support professionals get better results on the “people-side.” Unlike other psychometric tools which provide an abstract diagnosis, the SEI provides practical feedback and a process for action. Created by world leaders in emotional intelligence development, SEI tools are statistically rigorous, highly practical, and with a global view – which is why they’re chosen by leading organizations including FedEx, HSBC, Emaar Hospitality, the US Navy, Pfizer, and Microsoft. The SEI great tool because it is scientific, practical, actionable and enables one to understand oneself and support the development of others. After the EQ Assessor Certification, you’ve completed your CORE Certification. The next step is an Integration to apply your learning; see the Certification Pathway for more details. The SEI Toolkit includes four assessments and 10 reports (plus the Brain Profiles available with an add-on certification), providing an end-to-end solution for EQ assessment in a wide range of applications. 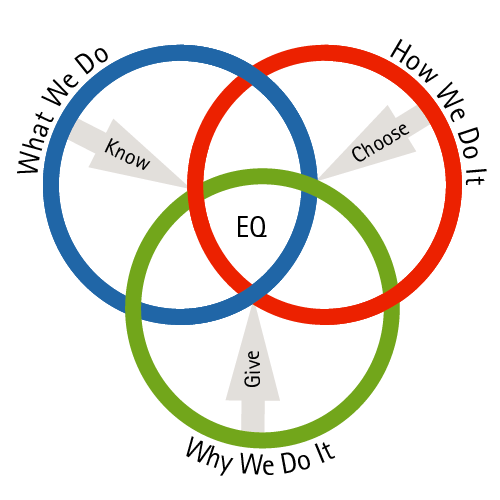 Read about the SEI and why it’s the best-in-class emotional intelligence assessment. Powered by cutting-edge technology, SEI is the only EQ assessment with a built-in artificial intelligence to make it even more actionable. Start time and date: December 12th, 9-10:30 am GMT (London Time) World Times plus additional classes to be scheduled with your facilitator. Schedule note: If you want to attend this course but timing doesn’t work, please contact us, let us know your schedule and we’ll find an option!